Requests for help will be made prior to each event on our facebook group. You can also check the Calendar page and contact the event organiser directly to volunteer. 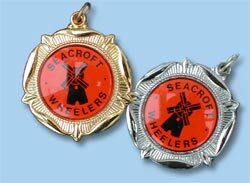 You get 2 points for helping at each of: Club Road Race (Mar), Open 25m TT (Sep), Jonathan Noble Cyclo-Cross (Sep) and for timekeeping at the club evening time trials. There are several options for additional cycling insurance, British Cycling and Cycling UK for example. All new members and anyone that hasn’t been a member of British Cycling before should read this…..
All 1st Claim members that haven’t been a member of BC before get 50% off the “Ride” level of membership for the first year (£20.50 instead of £41). The main benefit of joining is Liability insurance and legal support (see conditions) for training, commuting and club rides . Read the details but essentially BC legal team will work on your behalf to resolve any incidents for you, without which you would have to make your own arrangements. We would strongly advise you to take advantage of this offer unless you have similar cover elsewhere. There are additional benefits like 10% off purchases at Halfords and Chain Reaction Cycles. Bronze level is free for the first year but does not provide Liability insurance and legal support, full details here..
Cycling UK also do a similar liability and legal support, As a Cycling UK affiliated club all 1st claim members receive a discounted annual membership of £25 (regular price £46.50) full details here https://www.cyclinguk.org/join. Time Trials held under Cycling Time Trials regulations. 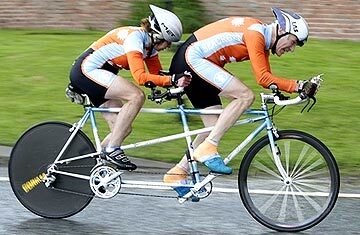 Mike and Barbara Penrice set VTTA national age related tandem records at 12 Hours and are twice winners of the VTTA tandem BAR competition. 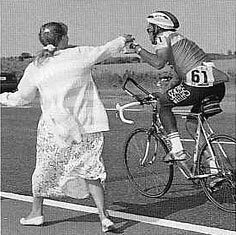 Fred Lyn takes a feed on his way to 404.5 miles and club record in the 1992 RTTC 24 Hour Championship. Rainfall Today Detailed rainfall radar. A well maintained and clean bike will minimise your risk of mechanicals when out on a ride. What does that mean ? Well, that the brakes and gears are adjusted correctly, brake blocks (or disk pads if you have those) and tyres checked for wear/damage, no frayed gear or brake cables, both wheels run true and no loose spokes. Tyres are inflated to within the min/max pressure (written on the sidewall of the tyre) before every ride (purchasing a Track Pump for home use is a good idea) and all nuts/bolts/quick release levers are appropriately tight (torqued to manufacturers guidelines where appropriate). “Clean” mainly refers to the drive train (chain, front and rear mech, cassette and chain rings) and the braking surface of the wheels. A clean drive train will mean slick and efficient gear changing and reduce the chance of missed gear/dropped chain/grinding to a halt. 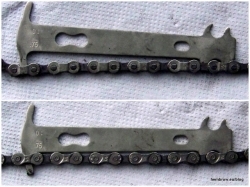 Use a de-greaser on the drive train and don’t forget to re-apply oil/lubricant to the chain after cleaning or it will rust and not shift as smoothly. The bike “fitting” you, is very important for comfort/efficiency and to prevent injury. This means the correct size frame is bought and the seat and handlebars are set to the correct height, with the best stem length. The seat is positioned the correct distance from the handlebars and at the best angle for you. Pedal cleats also need to be set up in the best position (if the videos in the link below don’t help you adjust this yourself and you are still experiencing problems then you may want to consider paying for a professional bike fit). A decent bike shop should be able to advise and even provide a bike fit when you purchase a new bike and help you match the geometry of the frame to the type of riding you do and consider your physical proportions, flexibility and any injuries/special considerations. A note on the life span of bike components, most mechanical parts degrade over time and obviously the more miles you do the quicker this will happen. So why is that noteworthy ? Well, replacing them before they fail will reduce the likelihood of a “mechanical” during a ride, possibly causing delays/lifts home or even injury. Worn brake blocks reduce braking efficiency and stopping distance, as the block wears you can use the barrel adjuster, found on most brake calipers to allow for this wear and move the block closer to the rim. 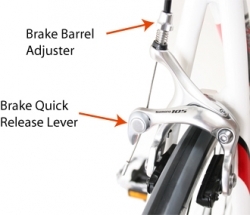 This is a quick and easy way to improve your braking without adjusting the caliper itself. Tyres of course also wear and this will reduce the grip/handling of the bike and increase your chance of punctures/incidents. 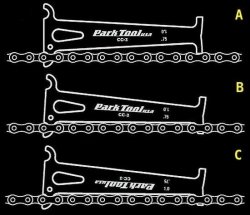 Check these regularly (before every ride) for any debris lodged/rips/tears/cuts etc and replace before they cause you a problem. Longer term items of wear such as the braking surface of wheels and gear and brake cables should also be monitored and replaced where appropriate. An annual bike service is a good idea to check all of these things mentioned above as well as the bearings in the wheels/headset/bottom bracket and replaced where appropriate. Wheel bearings checked regularly is another area that can save you a lot of money in the long run, worn wheel bearings can damage the hub of your wheels resulting in a costly repair or even retire the wheels permanently. Checking and replacing your tyres regularly will help the occurrence of punctures but it’s important that you know what to do should you puncture on a ride. Shift into the smallest cog on your cassette (for rear wheel punctures). Undo brake quick release and remove inner tube valve cap and collar. Undo valve and release any remaining air. Undo wheel quick release and remove wheel from the bike. Using tyre levers remove the tyre from the wheel and remove inner tube. Check inner tube and tyre (inside and out) for source of puncture and remove (if it’s not a pinch flat). Insert new inner tube, putting a little bit of air in first can help. Replace tyre, ideally without tyre levers to avoid pinching the inner tube but be careful not to pinch the tube if you do have to use them. Check that the inner tube is not pinched between tyre and wheel on both sides by pushing the tyre away from rim and make sure that you can not see any of the inner tube or when you inflate it this will puncture. Inflate tyre to desired PSI and check it stays inflated, replace collar and valve cap. Put the wheel back on the bike, pushing it firmly into the frame drop outs, closing the wheel quick release and centering the wheel between the brake pads where necessary. Note- it is often easier to get the wheel in properly when the bike is upright. Close the brake quick release. Take your old inner tube with you and dispose of properly. A lot of handy videos on how to do all these things mentioned in this section can be found on the Global Cycling Network navigate to the appropriate section or use the search function (click on the magnifying glass in the top right of the page).